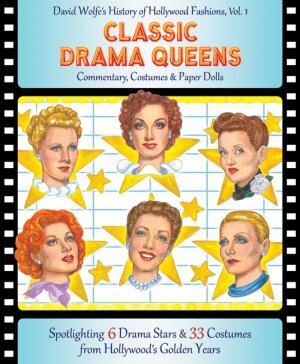 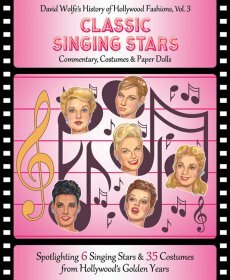 "Classic Drama Queens" pays tribute to stars and costume designs as seen on the screen in the '30s, '40s and '50s...Hollywood's Historic Golden Age. 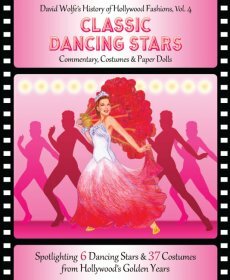 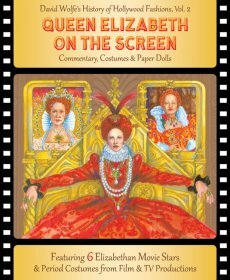 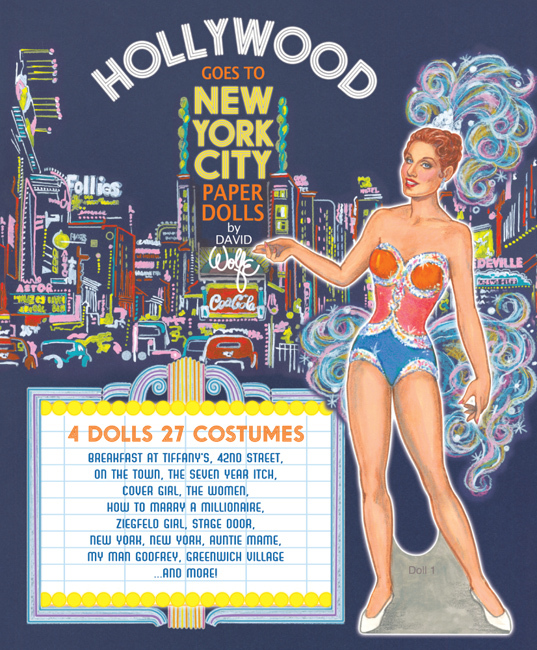 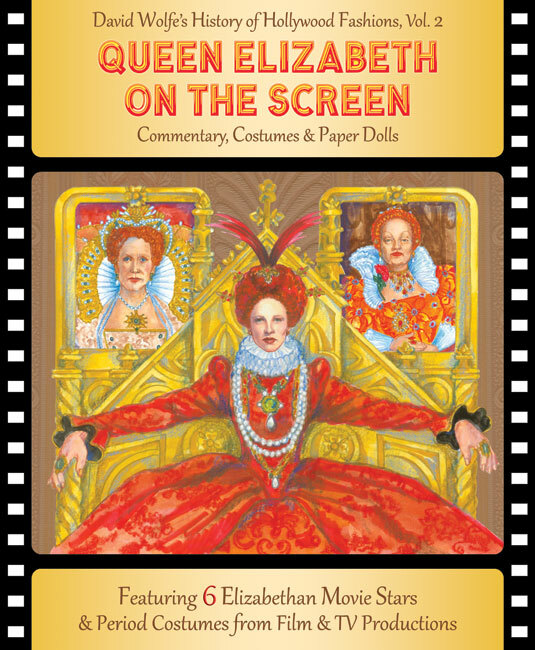 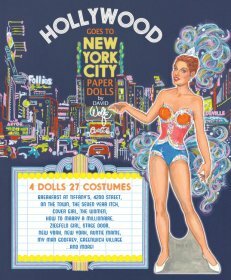 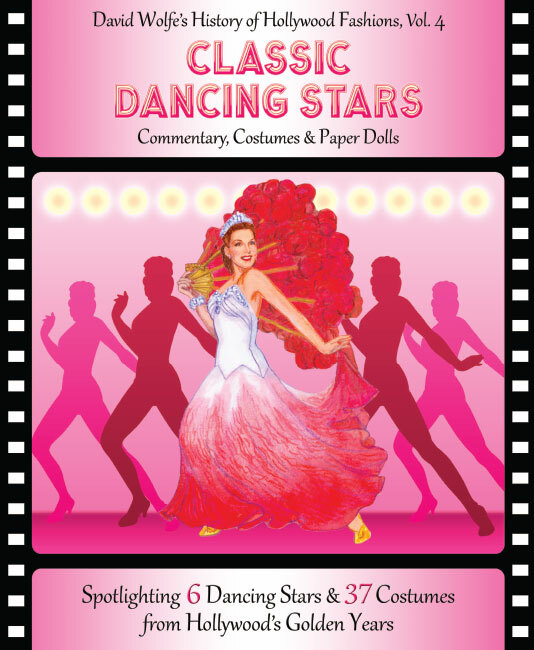 The first volume of a super-sized new series, "David Wolfe's History of Hollywood Fashions," provides 6 paper dolls and 10 pages of costumes by famous designers for silver screen star, plus authoritative commentary by David Wolfe, the popular artist and Hollywood fashion historian. Now, Voyager, Letty Lynton, Mildred Pierce, Peny Serenade, Wild Orchids, Random Harvest, Mrs. Miniver, The Women, All About Eve, Dark Victory, Inspiration, Love Affair, The Bride Wore Red, The Painted Veil, The White Cliffs of Dover, Little Foxes, I Remember Mama, Whatever Happened to Baby Jane?, The Letter, Anna Christie, Queen Christina, Camille, The Farmer's Daughter, Juarez, Anna and the King of Siam, Jezebel and Suez.